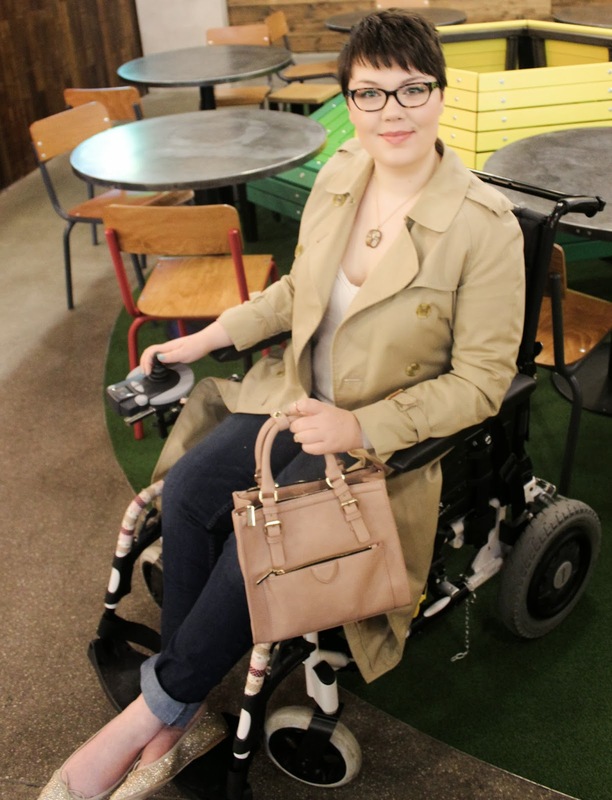 Usually I think wheelchair fashion has to be a little bit different to regular fashion but there are some basics that work regardless & one of those basics is an outfit like this - trench coat, jeans, flats & basic top. The trench is a genuine Burberry that I got on ebay for £50! The quality is so much better than any coat I've ever had before & the bag is from Zara & is just stunning! Cutest bag I have ever owned by a long way :) Definitely look out for a what's in my bag video done with this bag. Love the trench coat. You look beautiful!! Did you happen to know that we design couture to wear in a wheelchair? At Chairmelotte's Online Store you'll find our collection: beautiful and practical clothing specially designed to wheel in an wheelchair. 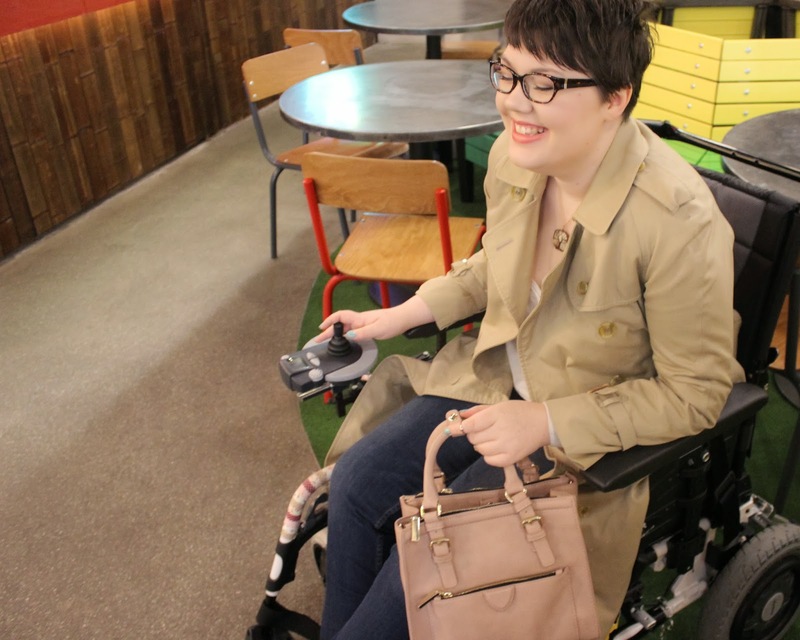 Completely tailored to the wishes of wheelchair users. You are very welcome to our online store www.chairmelotte.com ! That's awesome. I had no idea :) The dresses are so cute! 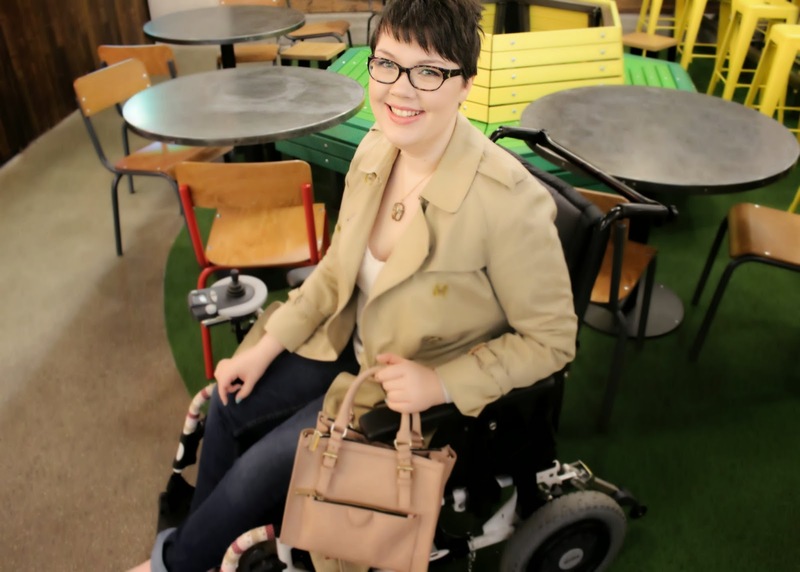 I'm always so happy when hear about people who are making stunning wheelchair fashion.